Several Kenyan airlines use Mara North airstrip, including Safarilink, Airkenya, Mombasa Air and Fly 540. From Nairobi (Wilson Airport) with Safarilink and Airkenya. From Northern Kenya (Nanyuki, Lewa and Samburu), with Safarilink, depending on routing and availability. From Amboseli with Safarilink, depending on routing and availability. From Mombasa with Mombasa Air. Private charters from anywhere in Kenya. *NB If you are leaving by air on any scheduled service, please note that the flights will not wait and sometimes arrive early! 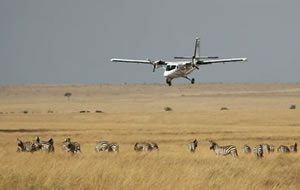 It is important that you get to the airstrip well in advance of your scheduled flight. The airlines recommend at least 30 minutes in advance. 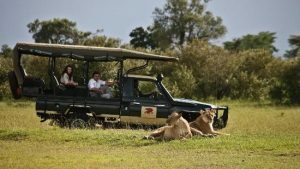 The Maasai Mara is approximately 280 kms west from Nairobi . 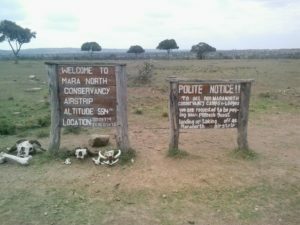 In Narok there is a fuel station just across the river which is a great stop for food, toilet and snacks. Leaving Narok to Sekenani Gate will take you about 2-3.5 hours depending on the vehicle you are travelling with.